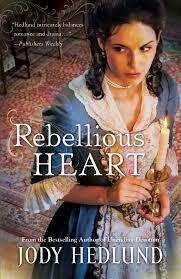 I love historical fiction, especially when it is based on the lives of real people. Rebellious Heart is inspired by the early years of John and Abigail Adams’ courting relationship in Colonial America (Massachusetts, 1763). Susanna Smith (Abigail) and Benjamin Ross (John) become unlikely friends and lovers when they work together to illegally assist an indentured servant in escaping her abusive master. The main plot of the story is fictitious (but realistic); however, many of the details and personalities of the characters closely parallel the discoveries of the author’s historical research of the Adams’ relationship and personalities. The wealthy Susanna is wonderfully strong-willed and uniquely intelligent and witty–especially for a woman of her time. Benjamin, on the other hand, is a poor lawyer with almost nothing to his name, but with an equally feisty and intellectual spirit and an influential role within the rebellious activities against the Royal Crown. Together their challenging discussions on how to respond as Christians to the unfair treatment of the British authority bring the struggles of the Colonial Period to life, while also being relevant for similar contemporary deliberations. Moreover, the novel is a great mix of suspense, excellent dialog, steamy romance, and, of course, rich history. I also enjoyed Hedlund’s novel, The Preacher’s Bride, based on the story of John and Elizabeth Bunyan, but this one was even more enjoyable to me. I look forward to more historical fiction from this author!